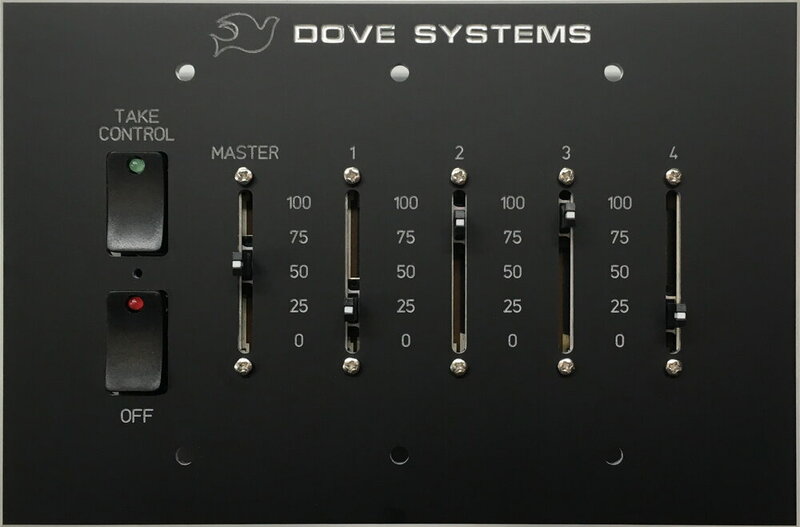 House light controllers are an easy-to-use adjunct to stage light controllers for systems in which stage lights are not in constant use but house lights are. All models have an attractive textured grey finish, and they are easy to mount in standard wall switch boxes. With take-control and off buttons, these controllers may be linked in parallel for any number of stations. The output is 0 to +10VDC. They require between +12 and +15VDC from the dimmer pack as a power supply; an optional power supply is available for use with dimmers that do not provide it.